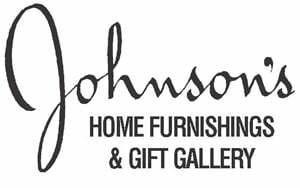 Johnson's Furniture was founded in April 1940 by Howard and Helen Johnson. In 1945 Jim Spangenberg, Sr. was hired to manage the furniture store after serving his country as a Seebee in the South Pacific during WWII. In 1968, Jim Sr. purchased the store from Helen Johnson. The store continued to flourish and in 1970, Jim Spangenberg, Jr. joined his father after finishing college with a business degree. 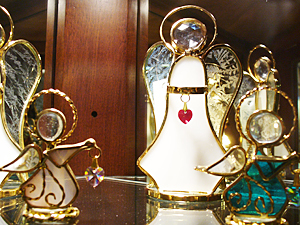 In 1973, Jim Jr's wife, Beth, started a separate gift store, Johnson's Gift Gallery. In 1989, the gift shop merged with the furniture store. We have expanded several times since 1940 and have added an Interior Design service. We have three experienced Interior Designers on our staff to help you create the home of your dreams. We offer over 15,000 square feet of furniture and home furnishings on three floors. We pride ourselves in offering quality furniture made in America including several Wisconsin furniture manufacturers. Our ever expanding selection of Amish Built Furniture features solid wood finishes, as well as sofas, loveseats and recliners You can select from over 1,000 fabric choices and delivery is FREE with purchases of over $599. The Custom Shoppe lets you choose the Stain, Finish and hardware that can make your furniture purchase “one of a kind”. We are Southeast Wisconsin’s exclusive dealer for My Side mattresses with Personalized Sleep zones and patented COOL WAVE technology to dissipate heat for a more comfortable, restful sleep. 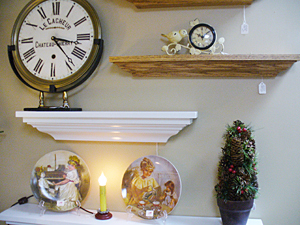 Our home design team can help you complete your purchase with the perfect lamp, wall clock or wall hanging from our Gift Gallery. Free parking is available behind our store.